A few months ago someone mentioned that there was a group of guys who were planning on opening a brewery and they loved to ferment with Brett. My ears perked to full attention. I was both excited, I love bretty beers, and intrigued, someone was daring enough to open a new brewery that played with these types of beers. Beer Lab HI is a new venture from three long time home brewing friends Kevin Teruya, Derek Taguchi and Nicolas Wong. Their adventure into beer started like most, with a simple homebrew kit, and quickly grew into a full blow obsession. After an eye opening trip to Dogfish Head Brewery in Delaware, Nick knew that they needed to open their own brewery in Honolulu. That fateful trip began a whirlwind process over the next 12 months and now they are a few weeks away from actually opening their own place. The brett beers got my attention right off the bat, but the team plans on brewing a wide variety of beer styles as well. Head brewing duties fall to Kevin, who mentioned that the team loves really dry beers. He likes to create beers that are lighter on the palate and a bit more drinkable. He’s always shooting for slightly lower finishing gravities than most commercial beers. This is very apparent in most of the IPAs I’ve tried from Beer Lab. Clean, dry with very little malt presence, the IPAs are completely focused on hop flavors and aromas. While many breweries tend to shy away from using any brettanomyces, Kevin says it’s something that they love and have worked with for a long time. 100% brett fermentations will be their initial focus, working with the bright and sometimes tropical flavors that the wild yeast can produce. The short primary brett fermentations don’t produce the typical horsey and overly funky flavors you get with aged brett beers. Instead these young brett beers are almost juicy and ripe, with a vibrant and complex yeast quality that works amazing with new tropical aroma hop varieties. The small, tasting room only, brewery is located in a former bank space on University Avenue, directly across from Pucks Alley. Their goal is to have at least 6 different styles on tap at all times including at least 1 brett based beers. For now, their focus is only on beer and they won’t be selling any food. With dozens of restaurants and take out places within walking distance, they welcome people to bring in their own food while they enjoy a beer. If all goes according to schedule, Beer Lab HI will open sometime in the next 2 months. Stay tuned for a first look inside the brewery and more on their opening beer line up. For now, get caught up with founders Kevin, Derek and Nicolas to learn a little more about them. Where did you guys grow up and go to school? Nick: Born and raised in Hawaii. Grew up in Manoa valley and followed the Hawaii public school system to Roosevelt High School, after graduation I went to The Colorado School of Mines where I received my Engineering Degree. Derek: I’ve lived all over the place but I grew up in the Las Vegas. After graduating from the University of Nevada, Las Vegas, I got an opportunity to work in Hawaii and jumped on it. I have family ties here and on Maui and I always felt that somehow someway I’d end up here eventually. Kevin: Born and raised in Mililani, graduated from Mililani High.. Got my mechanical engineering degree at UH. When did you first get into home brewing? How did the three of you meet and start brewing together? Kevin: It’s been over 4 years since I started home brewing. I started really because I got injured training for triathlons, then needed surgery. I needed to find another hobby since I lost all ability to exercise or play golf for 3 months. I love beer, my wife Lisa, and friends love beer, so why not make beer. I had Lisa drive me to Homebrew In Paradise and Mike set me up with Paradise Pale Ale. After several brews, I started making a BBQ/bottle share day out of it every couple weeks, with Derek then Nick coming by. When our brewery talk started to become more of a reality, we invested in the Brew-Magic system to start to nail down our techniques and recipes and have been brewing nearly every week since then. When and how did you guys decide you wanted to open up a brewery/take your hobby to the next level? Nick: Around a year ago, I was lucky enough to visit Dogfish head brewery in Delaware. The beer was amazing but it was the atmosphere that really blew me away. Everyone was ecstatic, the customers, the bartenders, the brewer talking about the beer. After that trip I shared my experience with Derek and Kevin and we started to create a plan that would bring an experience like that to Hawaii. If you had to describe the type of brewery Beer Lab HI will be to someone in a few lines, what would you say? Derek: Beer Lab is an adventure. It really is about changing, rotating and having fun creating beer. The ability to do unique small batch brews is something I think a lot craft beer fans will be excited about. What beers do you like to brew and what will you focus on at Beer Lab? Kevin: We have been brewing mostly American style beers with some other refreshing styles such as saisons and witbiers. We really love crispy dry beers and hops, so American IPAs will always be part of our tap list. Our small batch brews will allow us to feature special ingredients or add unique twists to our beers. Drinkability is a strong focus of ours and with most of our beers, you’ll find that they are fresh, sessionable, and a bit on the drier side. How many beers will you have available at one time? Nick: We will try to keep at minimum, 6 beers on tap at a time. Some beers will be be smaller batches, so kegs will constantly rotate. 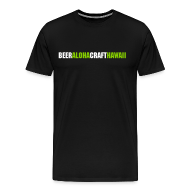 Beer In Hawaii will need to update the beer blast blog often for Beer Lab! Tell me about your work with Brett? How did you first start working with it? What do you love about it? Kevin: Brett is amazing! The aromas and flavors it creates are truly unique. It’s so refreshing with its inherent tropical fruit flavors! I can’t wait for customers to experience it. The book American Sours and online articles really got me into it. It was interesting that these yeasts could impart such unique flavors and aromas. Chad Yakobson of Crooked Stave has shared a lot of his knowledge online, Brettanomycesproject.com. Most of our brett beers are 100% brett fermented. It does not add that “brett funk” but rather, the fruity esters as I mentioned. Perhaps when we have the storage, we can do some longer funky brett fermentations. Brett focused IPAs, will that be your thing? You’ll be the first in Hawaii to really do Brett beers, how will you handle the potential cross contamination? Kevin: Yes! Brett IPAs will be a near constant on our tap list. Brett gets along very well with hops. Tropical yeast flavors and aroma plus tropical hops!? Yes, please! We have also started experimenting with brett in other styles such as saisons, and blondes. Eventually we will try to add brett to every (most?) styles we do. I don’t think it will be much of a problem for us to prevent cross contamination. Following general cleaning and sanitation, we should be fine. But to be sure, we will have special brett fermenters and hoses. Goals for first year? 5 years? When you dream of the future what do you dream of? Derek: From the business and operations side, year one will really be to feel out the needs of our brewpub. It will allow us to get a good idea of our production capabilities. Eventually, we’d love to have a second location and get our beers out there to local bars and restaurants. Bottling is a possibility down the line though I don’t think we’d begin to consider it until several years from now. On the brewing side, once we get rolling, we’ll hopefully be able to improve and expand our brewing equipment. This means better & bigger equipment with larger batch productions, new techniques and yeast management. 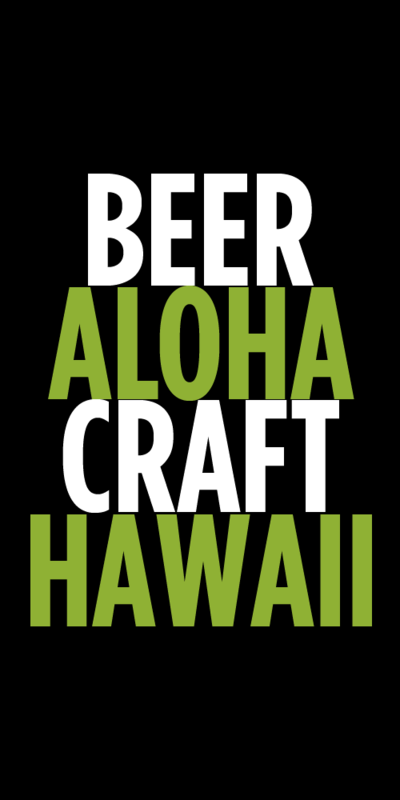 As we expand in space, souring and aging programs will also be important for us to continue to bring new ideas and beer styles to Hawaii. Follow Beer Lab HI on Instagram for more updates. Tags: Beer Lab HI, New Brewery, News. Bookmark the permalink. First of all, I want one of those shirts. Solid!!! I think these guys are filling a much needed niche in Hawaii. I for one love good Brett beers but here in the Pac NW, they tend to arrive in the warmer months (most likely due to the ambient temps required for the yeast to do its magic). I don’t think temperature is going to be a problem in Hawaii and I actually see some great things happening as they push the upper limits of fermentation temperature.